Available only as a pre-order set! The BLOODSHOT SALVATION #1-12 PRE-ORDER EDITIONS - twelve, 40-page massively expanded editions of the complete first year of Jeff Lemire's staggering new series - can only be ordered as a set and must be ordered with your local comic shop by the initial order date of July 27th, 2017! Released monthly, each PRE-ORDER EDITION comes packed with specially expanded bonus content and extra features including creator commentary, behind-thescenes looks at the creation of the comics, process character designs and artwork, and more! Plus: Fans that order this one-time bundle by July 27th, 2017 will also receive the BLOODSHOT SALVATION #1 RAMPAGE REDUX - a FREE, LIMITED EDITION, and FULL-LENGTH COMIC BOOK - polybagged alongside the series' fi rst pre-order edition! Featuring the raw black and white interior artwork of powerhouse artists Lewis LaRosa and Mico Suayan plus brand-new bonus features including 'Top-Secret Mission Reports,' 'The Biology of Bloodshot,' 'Bloodshot's Body Count,' and 'The Complete History of Bloodshot'! 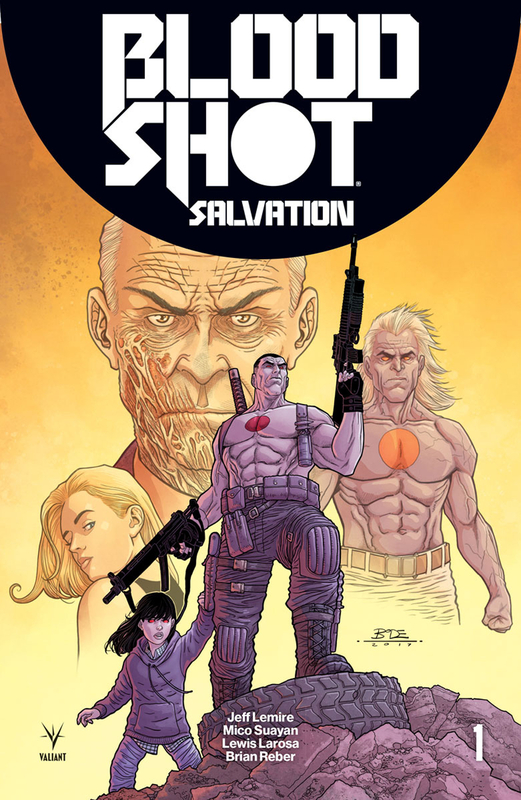 This expanded encore presentation of BLOODSHOT SALVATION #1 is available as a pre-order bonus ONLY and will never be offered for individual sale!